It's not varied, and it's not spectacularly musical, but the song of eastern phoebe is oh so welcome. 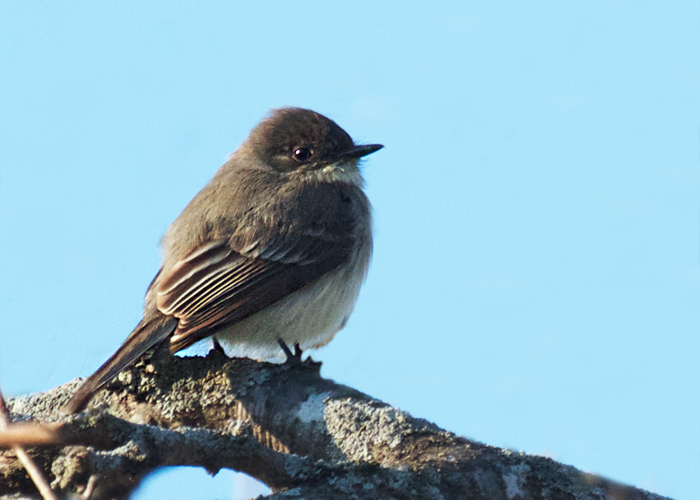 Eastern phoebe, first flycatcher to return in spring. His song on the morning air makes me feel like laughing and a little like crying. Joy of reunion? Or relief that the chain of custody has not broken? Phoebes are back to breed yet again in the eaves of my old house. Listen to him singing his name. Phoebe? PhoeBE!